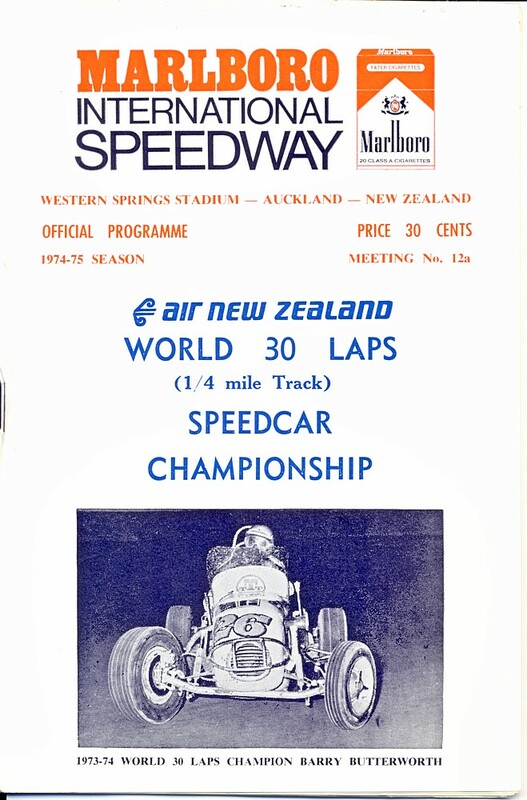 Welcome to my ' Speedway Memories ' website. 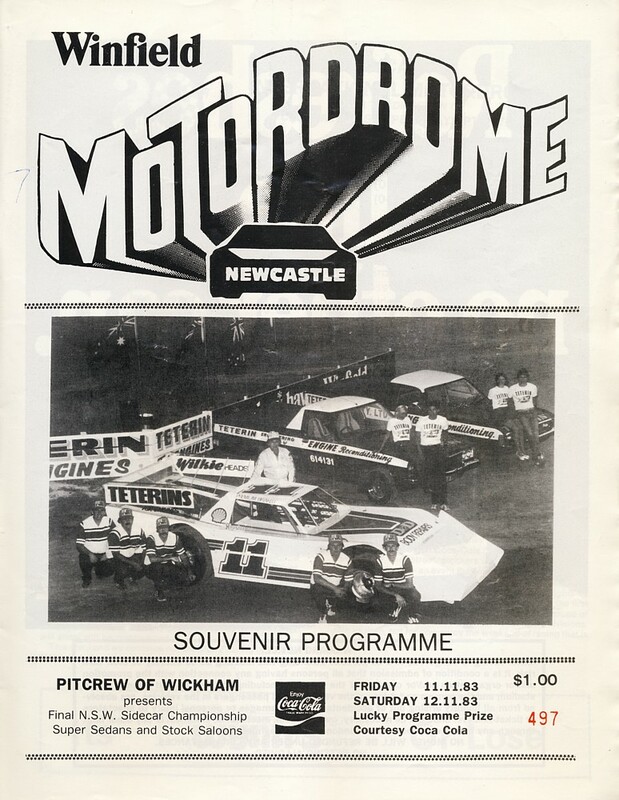 This is a site purely for the sales of Speedway memorabilia I have collected in my private collection over 6 decades of following the sport of Speedway both here in Australia and overseas. Pay Pal is available for any purchases and I can send a Pay Pal invoice for those purchases. 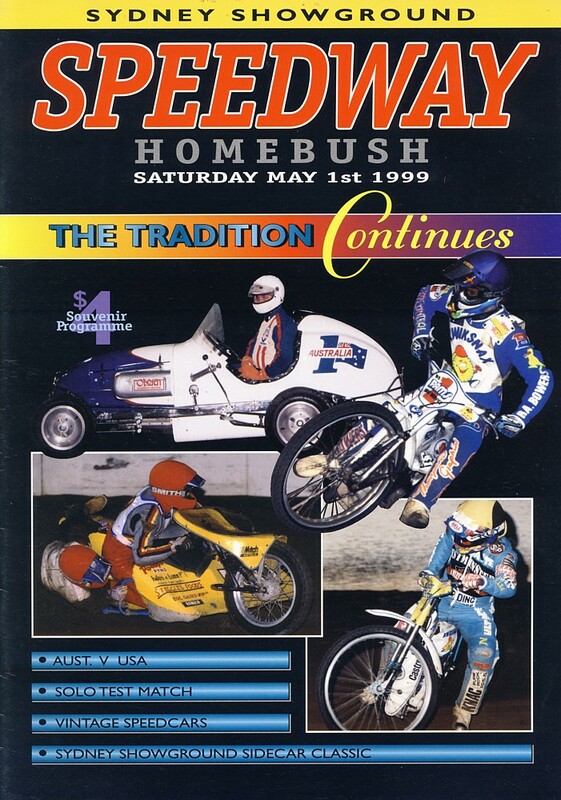 A large range of the above popular Speedway magazines - for sale - from $ 5.95 ea. + p&p. 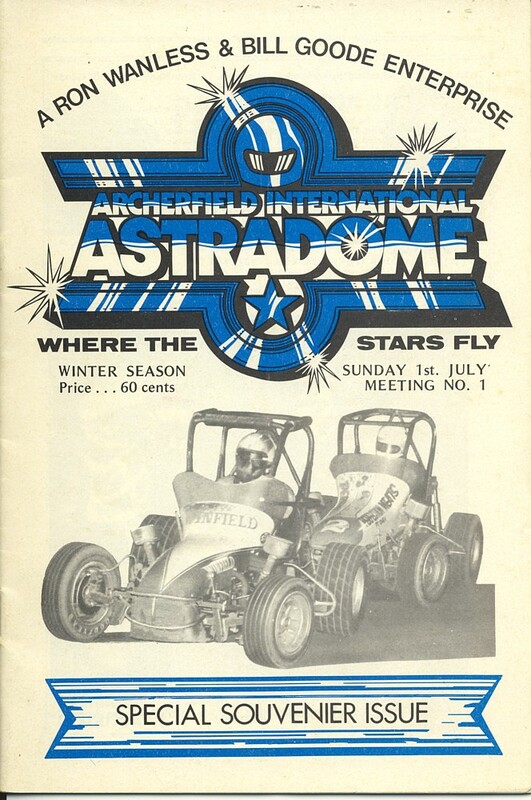 A large range of Australian and International Speedway programmes are available - let me know what you want - I may have it for you. 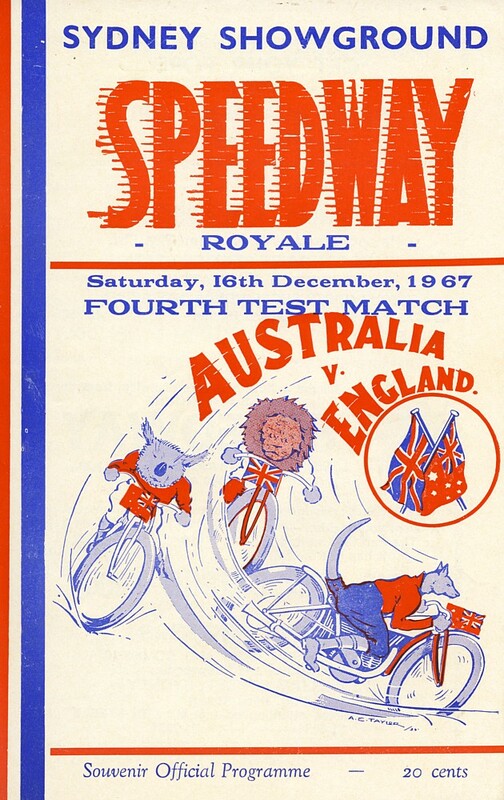 A large range of Australia vs England Solo Test Match Programmes available from $ 10.50 ea. 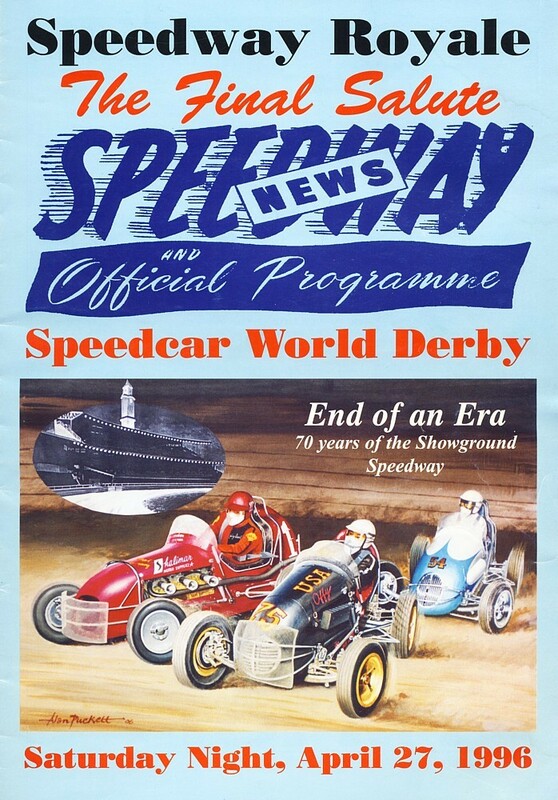 Item # 17 - My last copy of the Final ever Speedway meeting programme at the Sydney Showground in 1996 available. On to Page Two - Click Here. 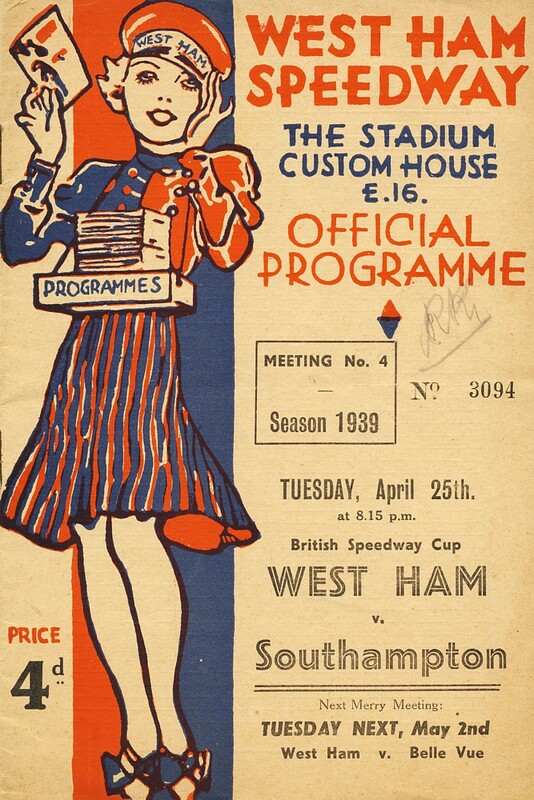 RARE & COLLECTABLE - West Ham Speedway Programmes - England 1939 - some of the world's best riders on the programme. ....$ 35 ea + p&p. 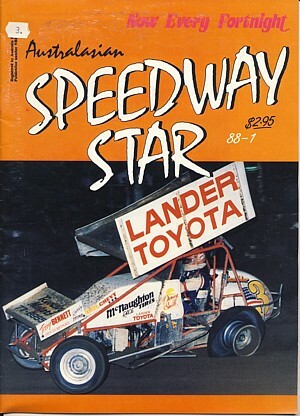 Maybe there is a PHOTO or VIDEO DVD I have created which may be of interest to you.? 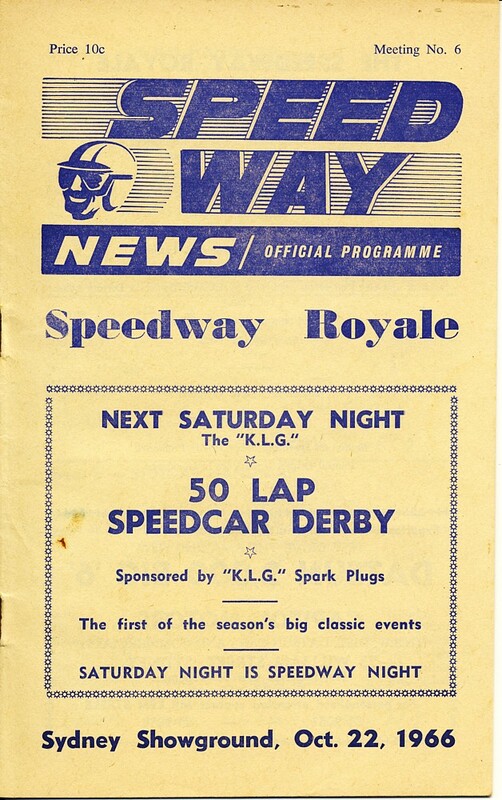 Please have a look on my SPEEDWAYPICS website to see the range available . 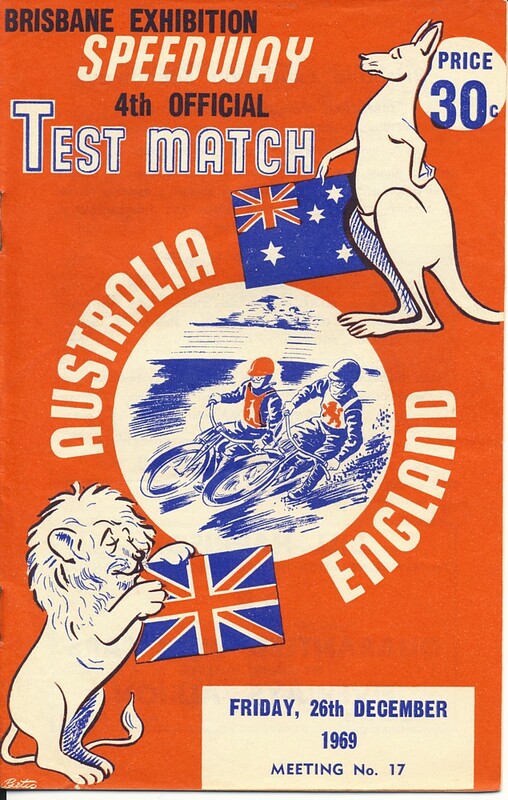 England & Australia - 1920s to 2000s. 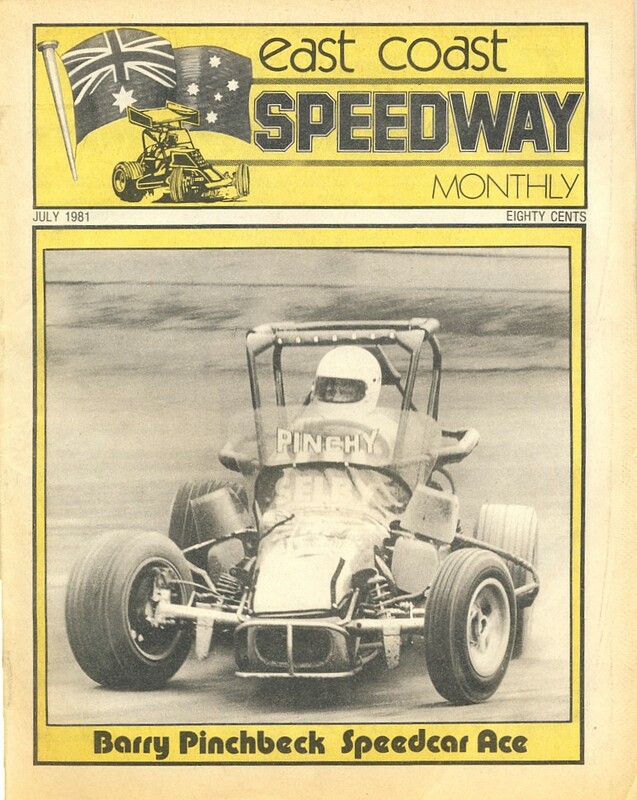 All in 'slip in' pages in albums and the enlargements in A4 sleeves in binders - 3 large plastic roller boxes full. 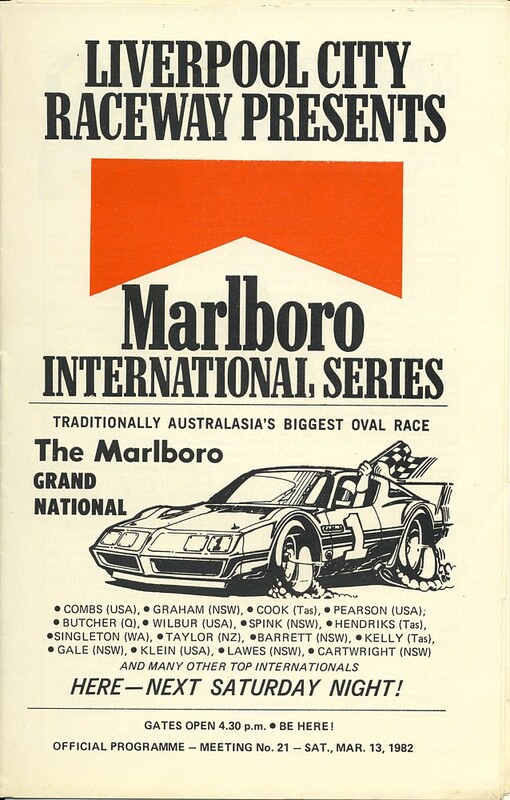 Probably the best general collection in Australia. 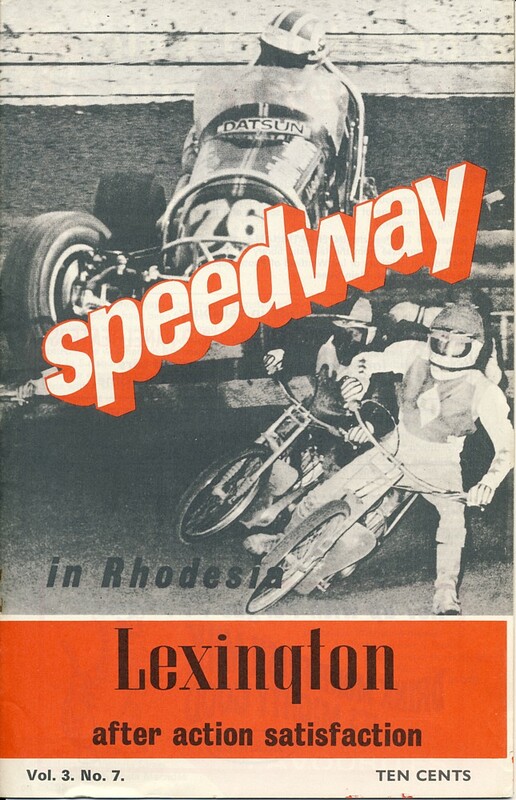 Item # 1 Speedway in Rhodesia . 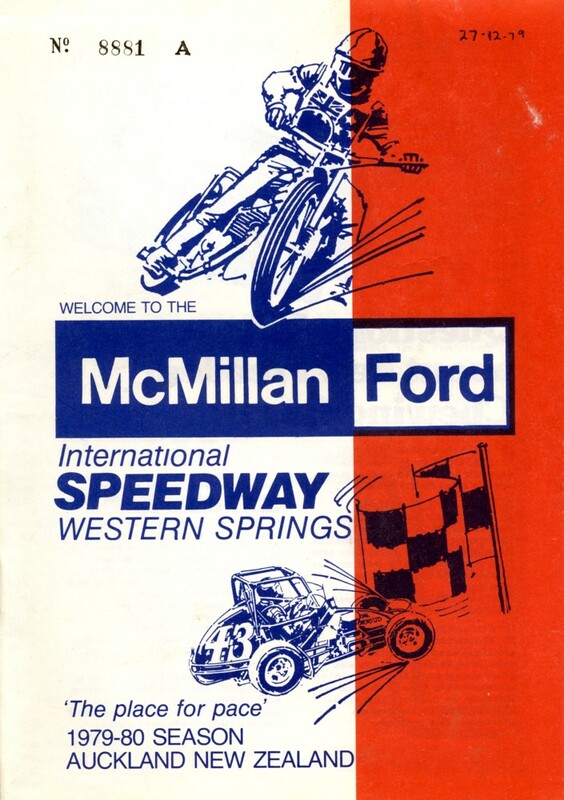 Item # 3 - 1st ever meeting. Some bulk deals on WS programmes on Page 22. 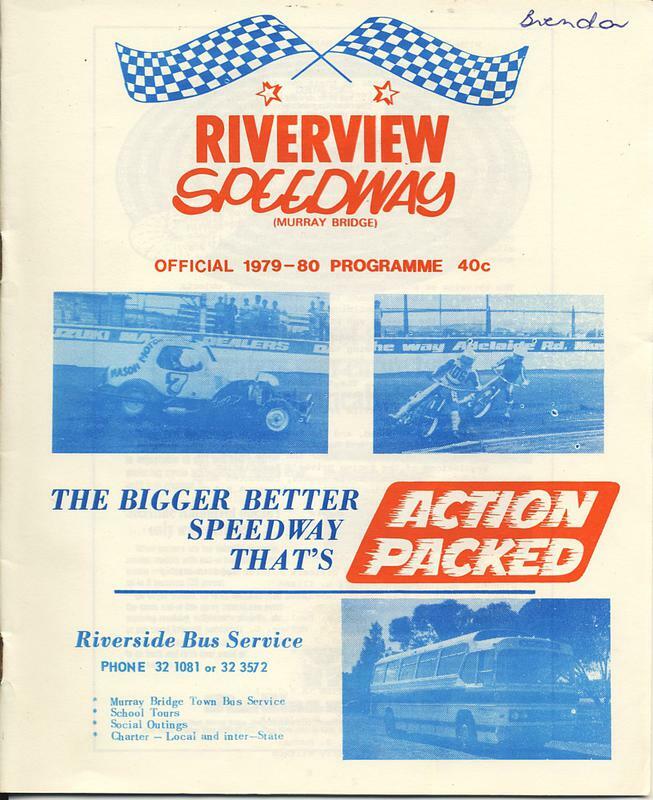 Hundreds of Liverpool programmes to choose from. Many Eng. 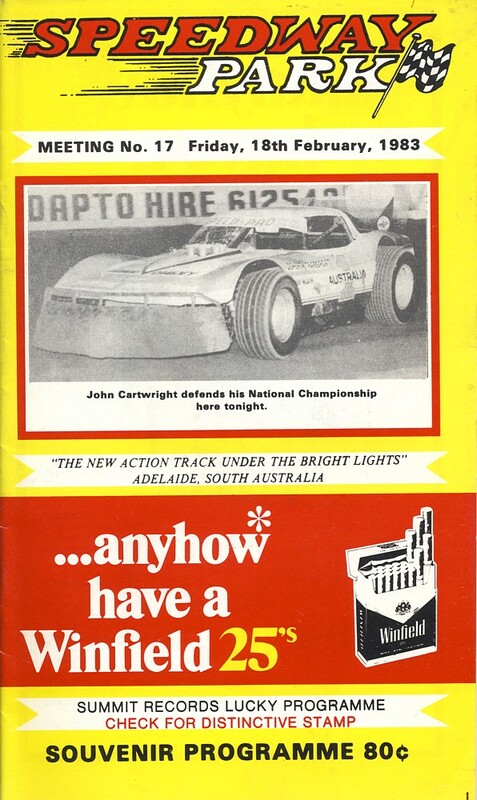 v Aust. 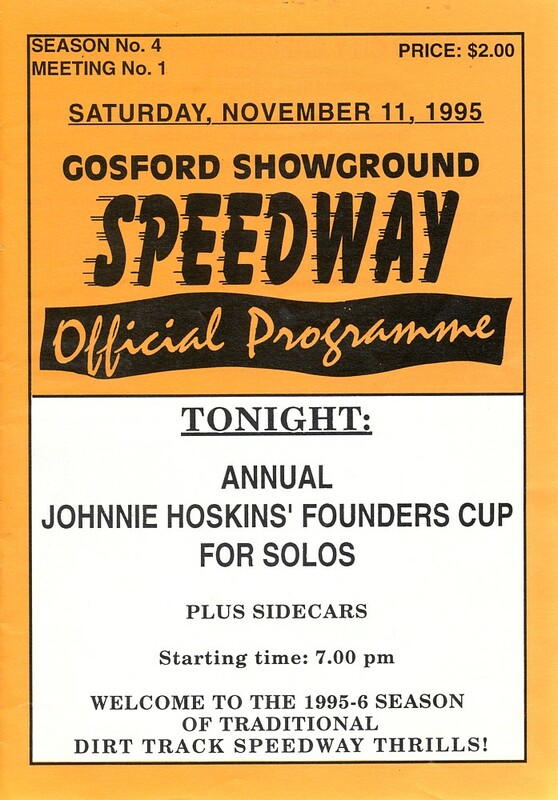 Programmes available @ $ 15 ea + P&P. 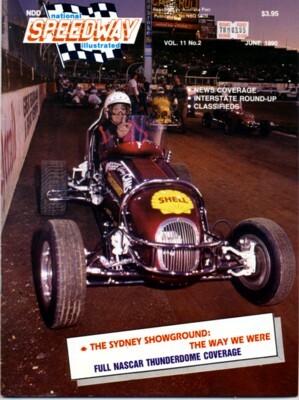 The last ever Test match at the Sydney Showground. 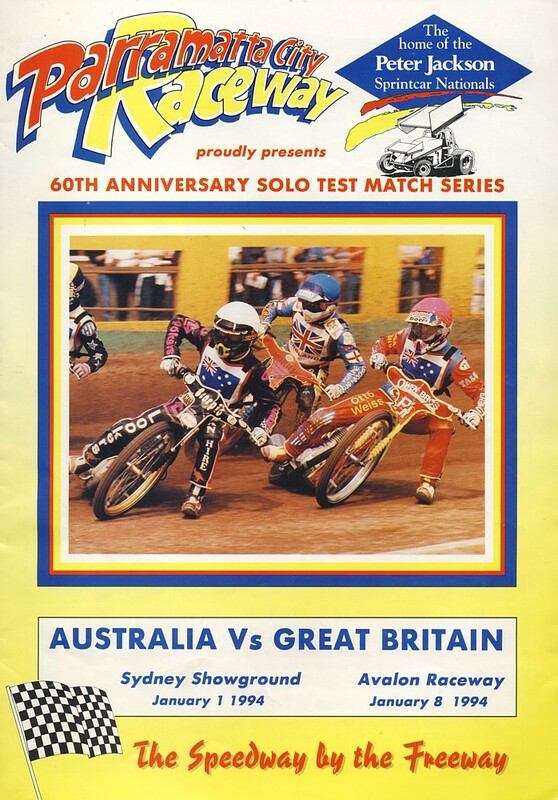 1st ever meeting at Homebush and Unofficial SoloTest Match USA vs Aust. Item # M2 - $ 5.95 + p&p. Item # M3 - $5.95 + p&p. Item # M5 - $ 5.95 + p&p. Item # M6 - $ 5.95 + p&p. Please also have a look at my other websites. 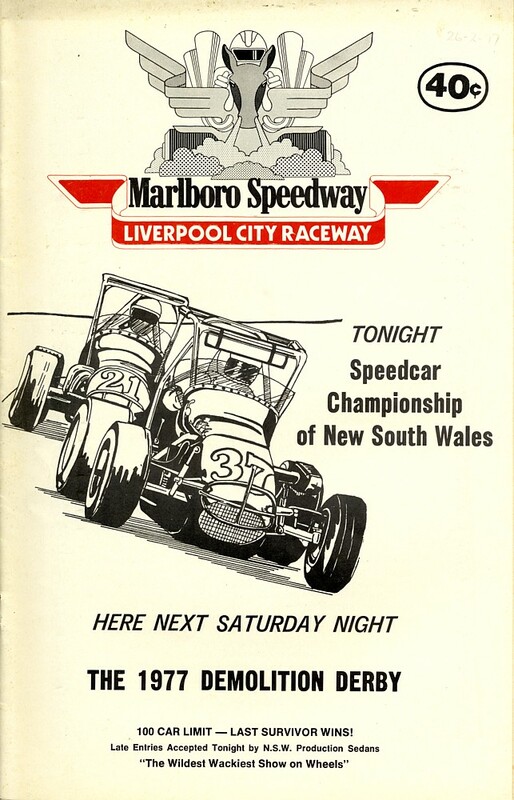 Full SCANS of Cumberland Oval - Parramatta programmes. Some odd bits & pieces for that RESTO. 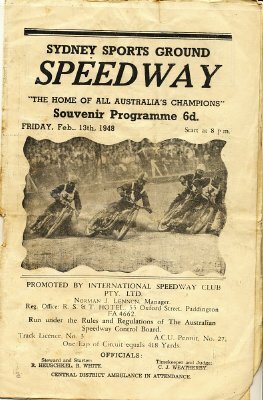 Australian Speedway History - Over the Decades. 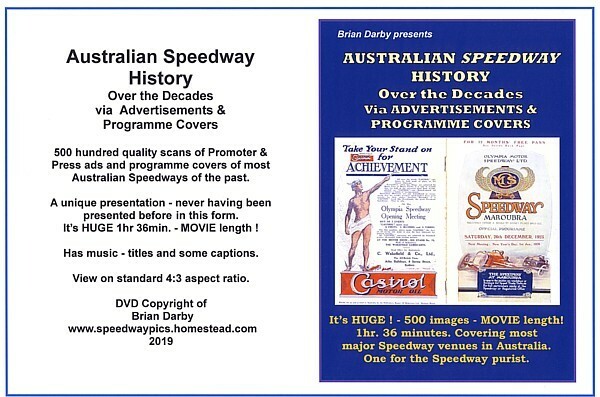 A history DVD with 500 images of Promoter & Press Advertisements and Programme covers from most major Speedway venues in Australia. a unique presentation. 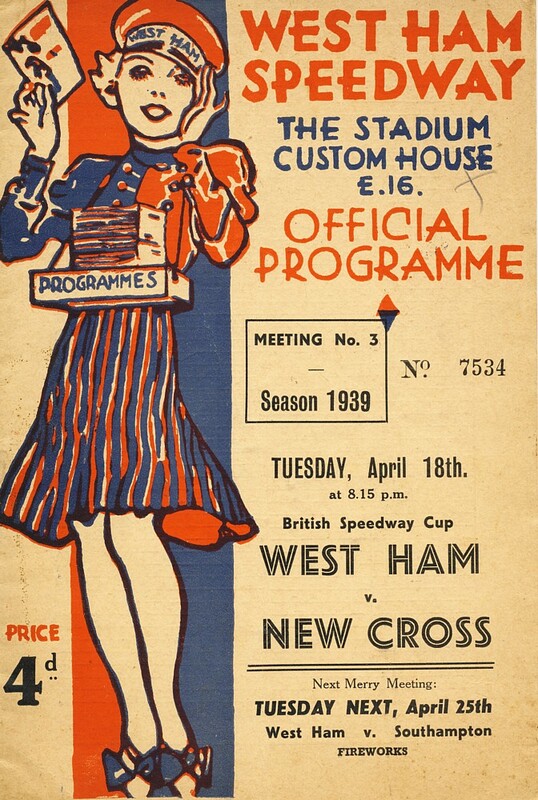 One for the Speedway purists. 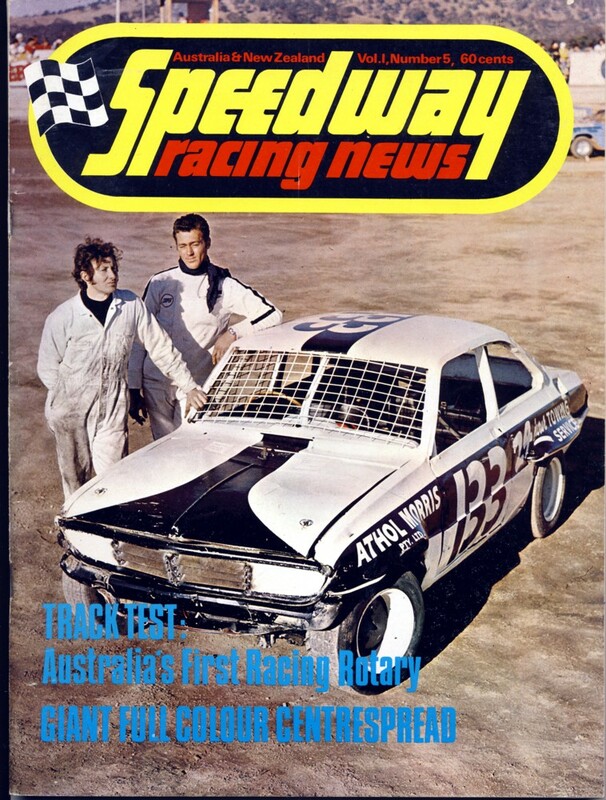 $ 40 Au. 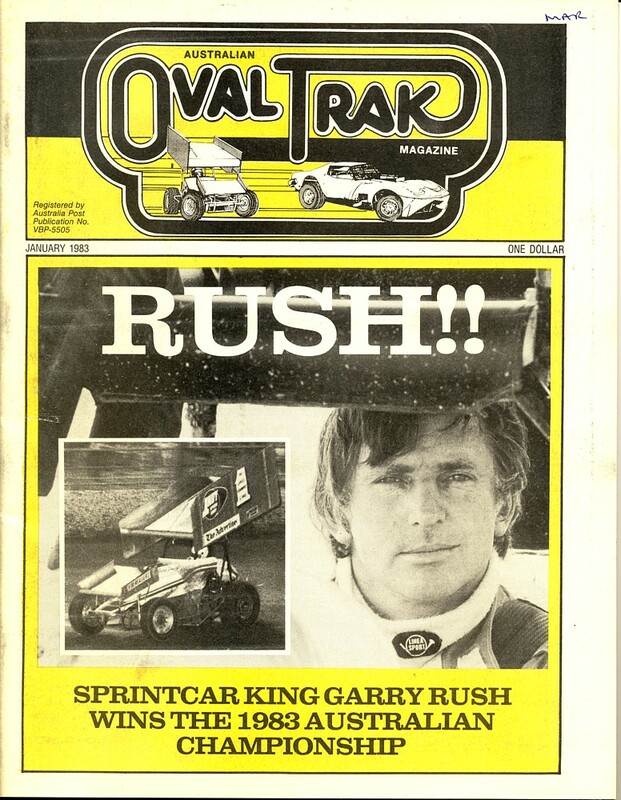 + $3 P&P (within Australia) - $7.50 Overseas for P&P.